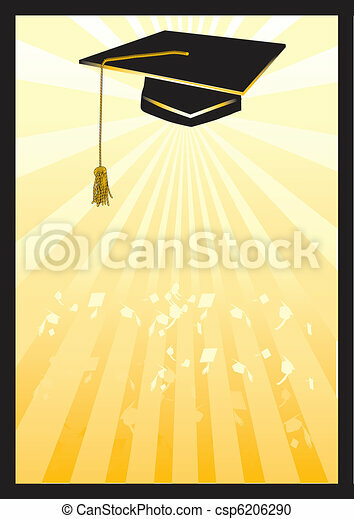 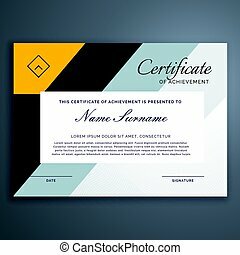 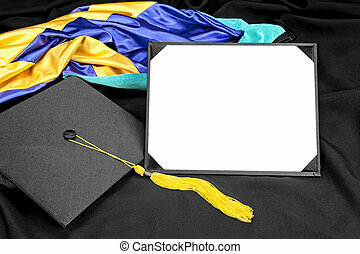 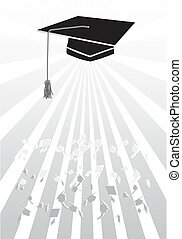 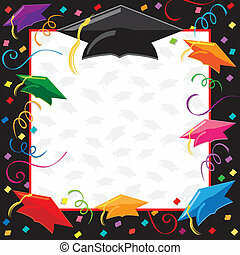 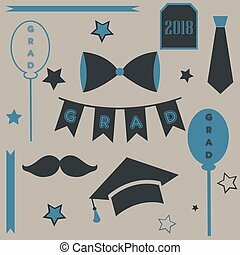 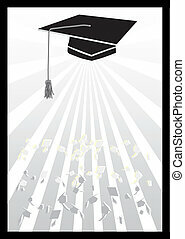 Graduation mortar card in yellow spotlight.gradients and blend used in background. 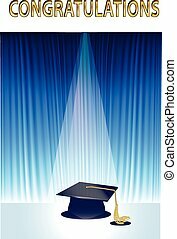 Graduation Mortar Card In Yellow Spotlight. 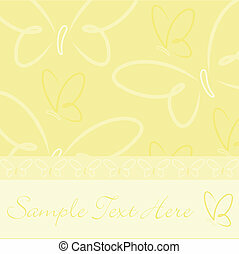 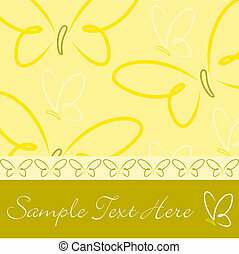 All occasion butterfly card in vector format. 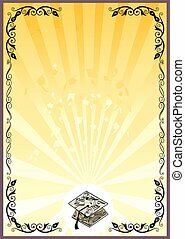 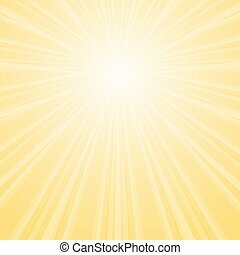 Vector stylish background with shining star with divergent bundle of beams in the sky in yellow colors for cover, flyer, banner, etc. 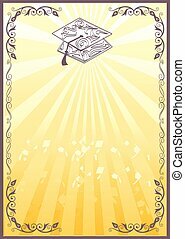 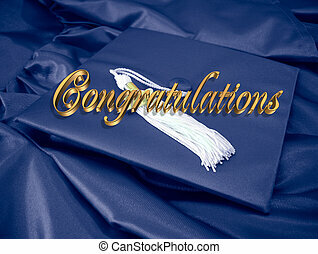 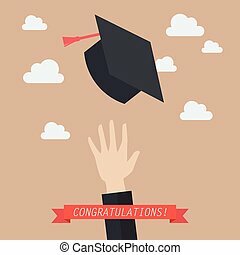 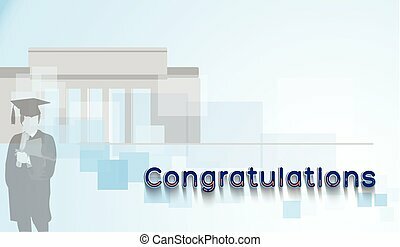 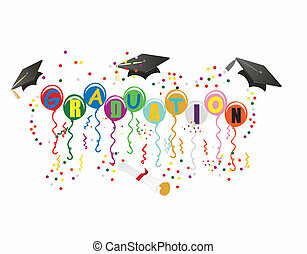 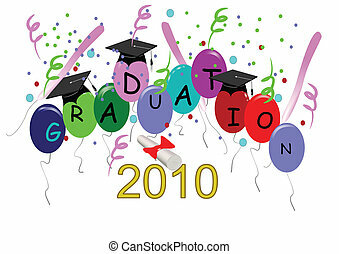 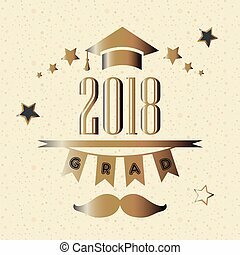 Congratulations text with silhouette of graduate and school in background.